I’m a work-from-home mum-of-two who has been knitting and crocheting for more than 25 years. I live in Ontario, Canada, where the weather varies from freezing cold to scorching hot, so I get to focus on both cold-and warm-weather knitting. Unfortunately, as a designer, I tend to knit off season so I can often be found sweating beneath a chunky blanket-in-progress beside the pool! Any childhood memories of knitting? My Scottish Granny is a knitter and crocheter who has kept me in toques and afghans for as long as I can remember. 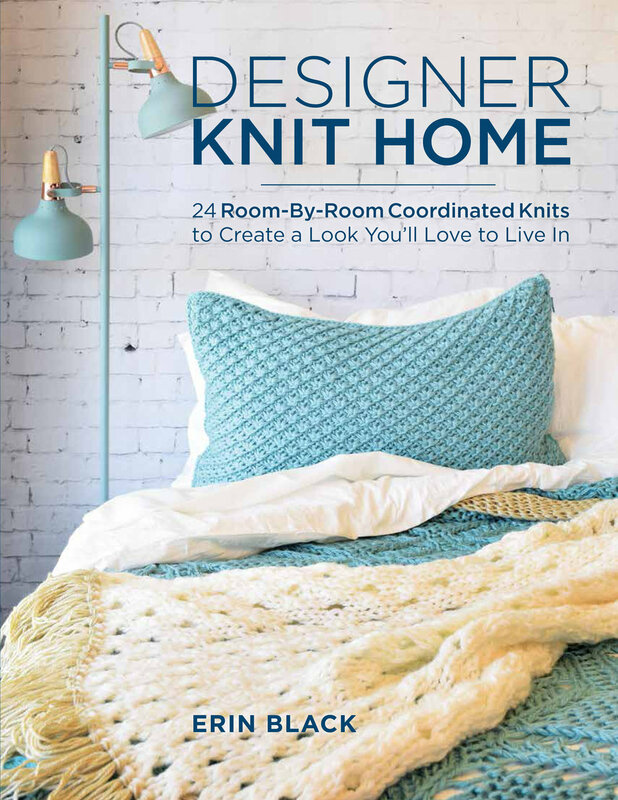 The very first project we worked on together was a corked potholder that was knitted on a spool with four nails hammered in the top – I remember working for hours on that, rolling the i-cord into a spiral after every row to see if it was long enough yet. I started knitting and crocheting when I was really young and always made up my own patterns as I worked. As I got older it seemed I always had an idea in my head of what I wanted to make and could never find a pattern that fit, so I just kept on. I realised this wasn’t how all fibre artists worked, so I started writing patterns down. What’s been your favourite make? The first pattern I published myself, and still my most popular pattern, is my Super Chunky Double Cable Throw Blanket. 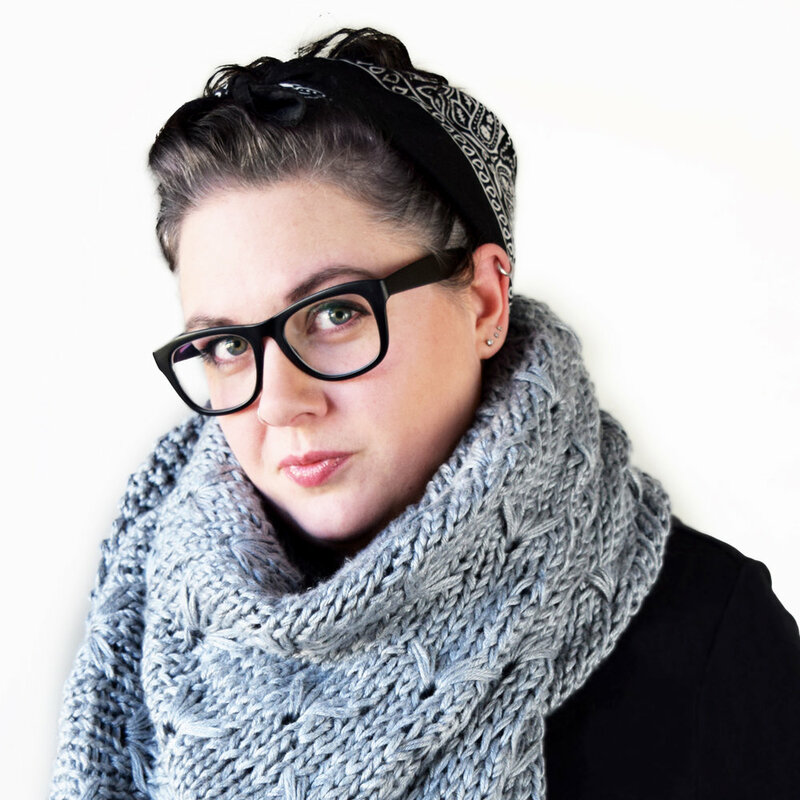 I loved the look of oversized knitting but found bulky yarns could get pricey so I decided to design a pattern that would use six strands of worsted weight yarn instead. Once this pattern started selling it boosted my confidence in my abilities and propelled me to start creating more. I have three rescued cats. Anyone who uses yarn and is owned by a feline already knows where this is headed. I’ve had endless balls of yarn go missing and numerous projects unraveled, and I often find smaller projects strewn about the house when I wake up in the morning. Why did you start Midknits? Out of necessity to clear out my stash! I was constantly buying yarn and making things, so I started selling on Etsy. We love your sculptural homewares – what inspires them? I studied interior design and have always loved the way items in a space can impact the way you feel. I try to design based on trends, but also on what my friends and family like. The patterns you’ll find in my shop are little snippets of my life in yarn. What are your dreams for Midknits? Midknits is my dream; I design all day and, as I work from home, I’m able to spend time with my family. I love what I do! I am also lucky enough to have other people love my designs enough to invest in them!